Latest character-focused add-on launches December 13. Play time is between one and two hours if you only follow the story. After you clear the story, a different route unlocks. It follows the flow of the original story, and changes to the different route when Ignis makes a certain decision. This route is mainly a boss battle, and is considerably difficult. The ending of this route was created with the thought that they wanted it to be seen by users who were moved by the ending of the main story. The story is the densest among the Final Fantasy XV add-ons. After you clear the story, a battle against Noctis will become available. 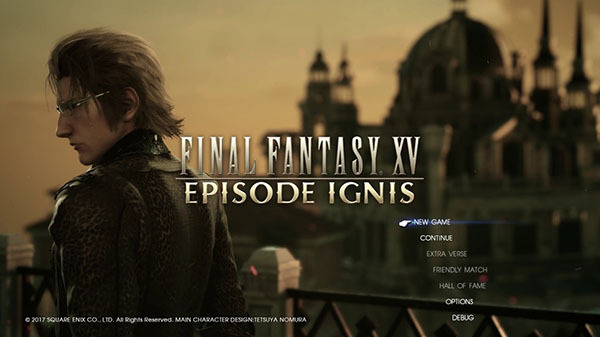 “Episode Ignis” is due out on December 13. Update 9:35 p.m.: Square Enix has released a couple of gameplay videos from the add-on, as well as a message from director Takefumi Terada and composer Yasunori Mitsuda. Watch them below.